There is no one correct or best solution for Planning your financial future, however, we believe you should be given choices based on your unique situation and not sold a product or chase returns. We provide impartial, unbiased financial and tax planning advice. Simply put, we are Planners. We do not recommend any service or product without providing you with a plan and in some cases give you a plan that you can do yourself. Whether you want a less stressful retirement or pay less tax-we can help. We put integrity, honesty, and transparency at the cornerstone of everything we do as a financial advising firm. Every piece of advice we give, and every strategy we implement, is done so with the needs and desires of our clients in mind. The service and advice we provide begins with you. Our approach to financial and tax planning is simple: We care. Our team of advisors will listen carefully, and provide thoughtful strategies that will help you work towards your short and long-term goals. We love what we do, and we love helping people realize how necessary it is to have a financial advocate in their lives. Floyd Financial Services utilizes a combination of institutional Money Managers, top-rated Annuity companies and a propriety early warning system (WEALTHGUARD) to help increase the probability of success and protect your investments from major losses. Our portfolios are designed and monitored using algorithmic formulas that remove emotional decision making. This helps Clients avoid making mistakes that have a negative impact on their retirement. We use a series of models that make up allocations, which when combined with each other give the client an increased probability of success. The result is a portfolio that allows investors to feel added confidence knowing their investments are always being monitored with the goal of providing a balance of upside potential, risk management, and tax management. 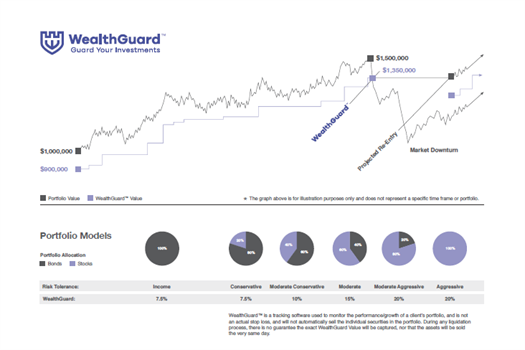 WealthGuard™tracks and monitors all of your investments in one place, helping to protect these investments by alerting you when you are approaching your WealthGuard™value. This is achieved by setting up a secure data connection with your accounts. Once WealthGuard™is set up and knows your risk tolerance and WealthGuard™ number, it will automatically monitor all of your accounts based on the closing value each day. If your accounts ever start to decline in value, WealthGuard™ will give you an early warning if the decline is 75% of your WealthGuard™ Number. It also tracks your asset allocation and the overall performance of all your accounts every single day. Understanding tax strategies and managing your tax bill is an integral part of a sound financial approach. Conversely, ignoring the tax ramifications of your investment portfolio may result in lower overall performance. 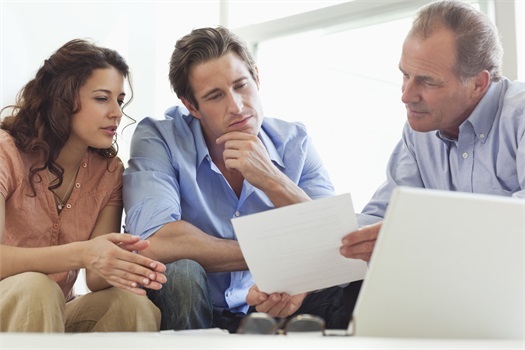 Some taxes can be deferred, and others can be managed through tax-efficient investing. With consistent preparation and properly sequencing withdrawals from your available investments, you can potentially reduce the impact of taxes. However, the new Tax Cuts and Jobs Act of 2017 has changed everything, from deductions to tax brackets, with the net overall effect to the average taxpayer to be negligible. Keep in mind the TCJA Act expires in 2025 and we are still have not properly dealt with our deficit and artificially low-interest rates. This only puts pressure on taxes to increase.